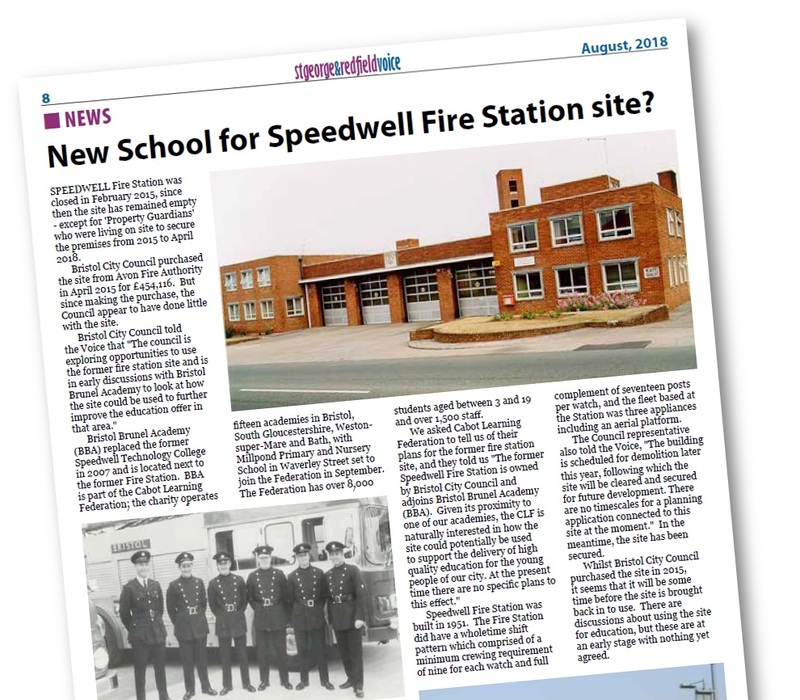 New School for Speedwell Fire station site? 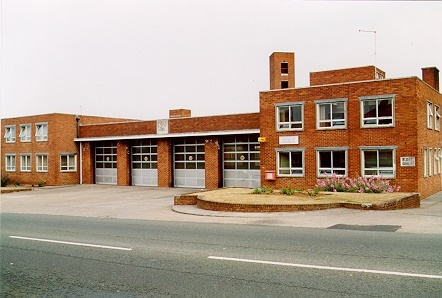 Speedwell Fire Station was closed in February 2015, since then the site has remained empty - except for 'Property Guardians' who were living on site to secure the premises from 2015 to April 2018. What is the future of the site? Bristol City Council purchased the site from Avon Fire Authority in April 2015 for £454,116. But since making the purchase, the Council appear to have done little with the site. Bristol City Council told the Voice that "The council is exploring opportunities to use the former fire station site and is in early discussions with Bristol Brunel Academy to look at how the site could be used to further improve the education offer in that area." Bristol Brunel Academy (BBA) replaced the former Speedwell Technology College in 2007 and is located next to the former Fire Station. 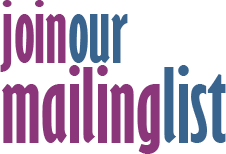 BBA is part of the Cabot Learning Federation; the charity operates fifteen academies in Bristol, South Gloucestershire, Weston-super-Mare and Bath, with Millpond Primary and Nursery School in Waverley Street set to join the Federation in September. The Federation has over 8,000 students aged between 3 and 19 and over 1,500 staff. 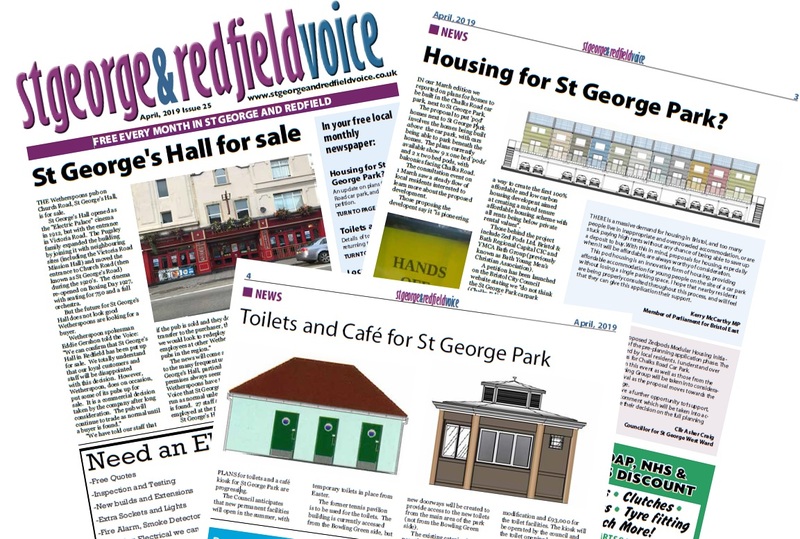 We asked Cabot Learning Federation to tell us of their plans for the former fire station site, and they told us "The former Speedwell Fire Station is owned by Bristol City Council and adjoins Bristol Brunel Academy (BBA. Given its proximity to one of our academies, the CLF is naturally interested in how the site could potentially be used to support the delivery of high quality education for the young people of our city. At the present time there are no specific plans to this effect." Speedwell Fire Station was built in 1951. 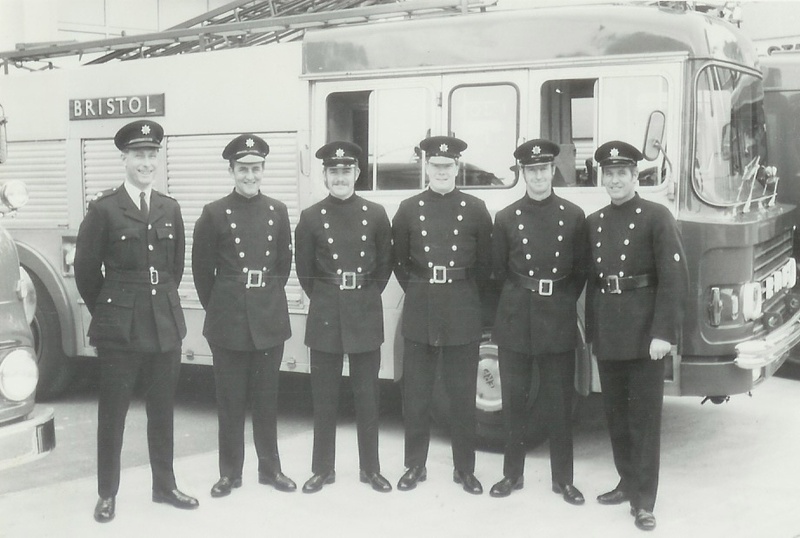 The Fire Station did have a wholetime shift pattern which comprised of a minimum crewing requirement of nine for each watch and full complement of seventeen posts per watch, and the fleet based at the Station was three appliances including an aerial platform. 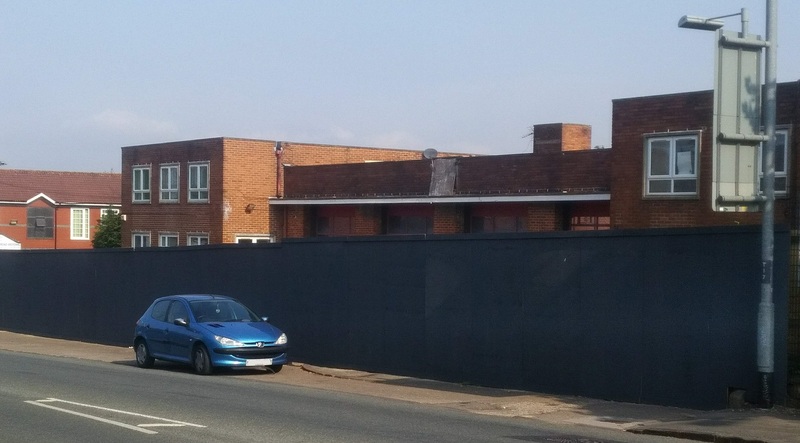 The Council representative also told the Voice, "The building is scheduled for demolition later this year, following which the site will be cleared and secured for future development. 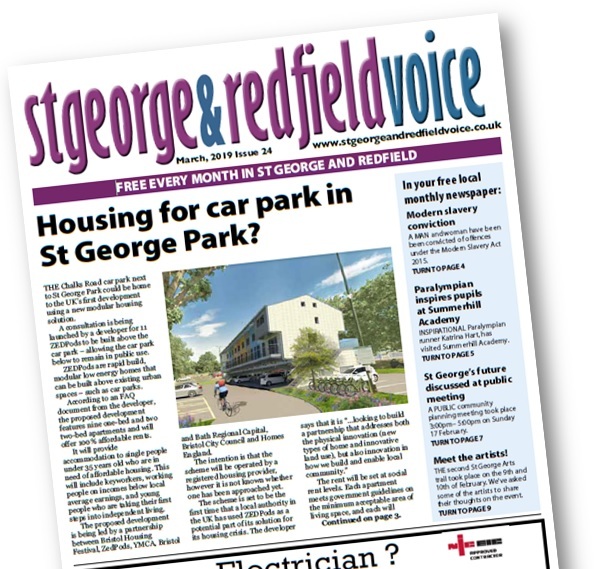 There are no timescales for a planning application connected to this site at the moment." In the meantime, the site has been secured. 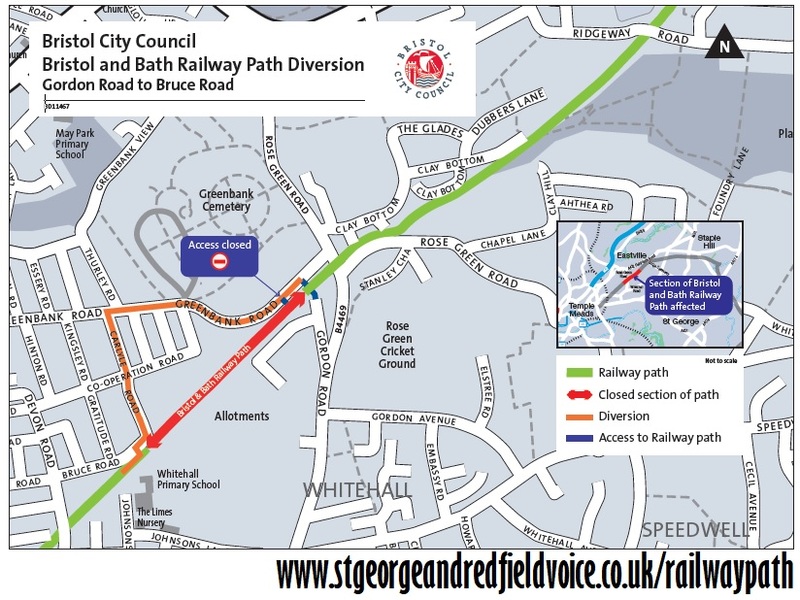 Whilst Bristol City Council purchased the site in 2015, it seems that it will be some time before the site is brought back in to use. There are discussions about using the site for education, but these are at an early stage with nothing yet agreed. It is our intention (commencing provisionally in October 2018), to remove the Former Speedwell Fire Station ... and to have the site clear of ll buildings. In accordance with the Demolition of Premises Building Act 1984 ... I am obliged to give you formal notice of this proposal. If there is no response by 29 September 2018 I will assume that you have no comments to make.